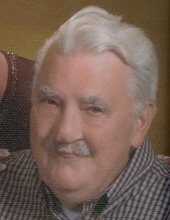 Gerald Robert Dodd, son of Vernon Robert and Lena Helen Stone Dodd, was born September 11, 1930 in Tallant, Oklahoma. He departed this life, November 22, 2018 at home, in Camdenton, Missouri at the age of eighty-eight years, two months and eleven days. He was preceded in death by his parents, his wife the late Eva Karoline Dodd, his son Glenn Dodd, and his daughter Rita Keeth. He is survived by his son James Dodd and wife Barbara of Camdenton, Missouri; five grandchildren, Sandy Ingersoll, Jason Dodd, Kristopher Keeth, Cindy Keeth, and Kari Dodd; twelve great-grandchildren and a host of nieces, nephews, other relatives and many friends. Gerald was raised in Tallant, Oklahoma and he joined the military during the Korean and Vietnam wars and served for twenty-one years, were he was awarded the Purple Heart and Bronze Star. Him and Eva moved to Texas and later to the Lake of the Ozarks. He retired from Modine after twenty years of service. Gerald made a profession of faith and was a member of St. Anthony Catholic Church. In his spare time, he enjoyed watching Blue Bloods, the St. Louis Blues and Cardinals, fishing, hunting, and spending time with his family. Most of all he enjoyed traveling the world with the love of his life. He was a loving husband, father, grandfather, great-grandfather and a caring neighbor and friend. We celebrate his life and his accomplishments and will treasure the memories he created for his family and friends. Memorial donations may be made to Hospice Compassus and left at the funeral home. To send flowers or a remembrance gift to the family of Gerald Robert Dodd, please visit our Tribute Store. "Email Address" would like to share the life celebration of Gerald Robert Dodd. Click on the "link" to go to share a favorite memory or leave a condolence message for the family.